A maritime industry veteran, Reid has chronicled various parts of the maritime world for many years. Like more than a few seamen of his generation, he first went to sea in the US Navy, spending time in Vietnam on patrol boats, among other things. His civilian career started on oil tankers in 1971, moving to ATB work to South America in the early 80s, a stint on research vessels after his marriage in 1986, and finally to the tug business in 1990. He’s done coastwise towing, harbor work, ship docking , even some marine construction – pretty much everything except inland towing. And he’s loved every minute of it. In 2005 Reid took a shore job managing a tug company that provides services to a LNG terminal, opening up another area of interest in the growing world of gas – its extraction, transportation, and the sometimes rapidly changing dynamics of gas markets. 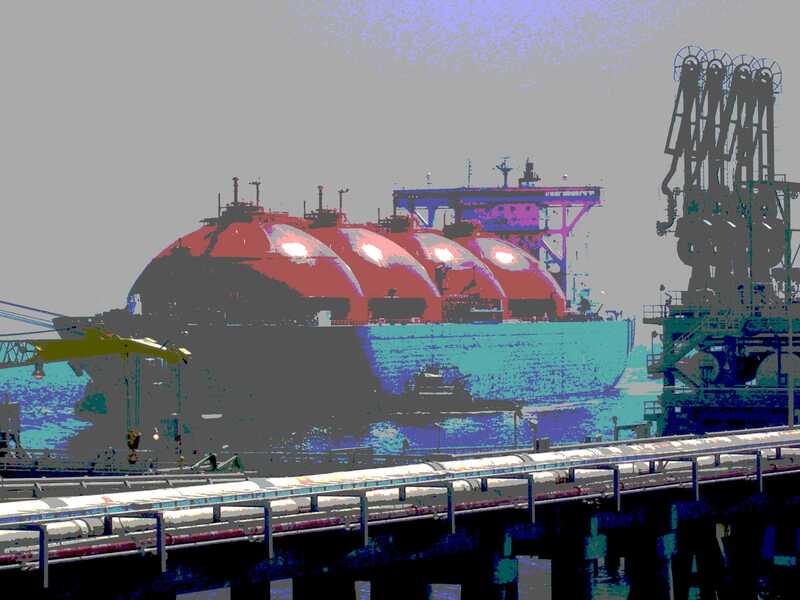 As a dominant fuel for the 21st century, LNG and compressed gas will enable a new burst of economic activity over the coming decades. With its advent comes a slew of questions: Should the United States export our gas, or keep it at home? Will natural gas become the dominant domestic motor fuel? Can inexpensive natural gas derail the newfound interest in nuclear power generation – and will it replace coal? Given the dramatic fluctuations over the last decade, where will the price go next? Will the independent US market for gas, with its independent pricing, persist – or will gas end up, like oil, with a world price? These questions and more will occupy us for decades to come. And they have a strong bearing on the maritime world, too, such as US cargoes going in US bottoms with US crews, which could be a shot in the arm for the US merchant marine. This blog will explore these issues and more. And make it a two-way conversation! Comment and criticize, correct and amplify – your point of view will be very important if a true picture is to emerge. Hope you’ll avail yourself of the opportunity to do that! Also please visit Reid’s personal blog: http://www.reidbsprague.net/the-chain-locker-blog.html which has more information and links to social accounts.